You won’t believe how much mileage you get with these classic T-tops that are made especially to fit the needs of today’s woman. Options are endless create a dressy appearance or a casual sporty look, depending on your fabric. 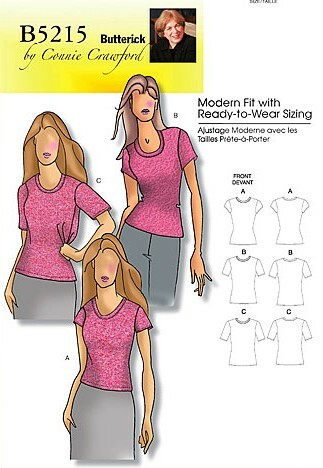 Pattern includes a relaxed, scoop neckline, cap or short sleeves. Change the neckline; add a collar or placket. Create a center front opening to develop a totally new look. Moderate Stretch Knits Only: Matte Jersey and Cotton Knits.